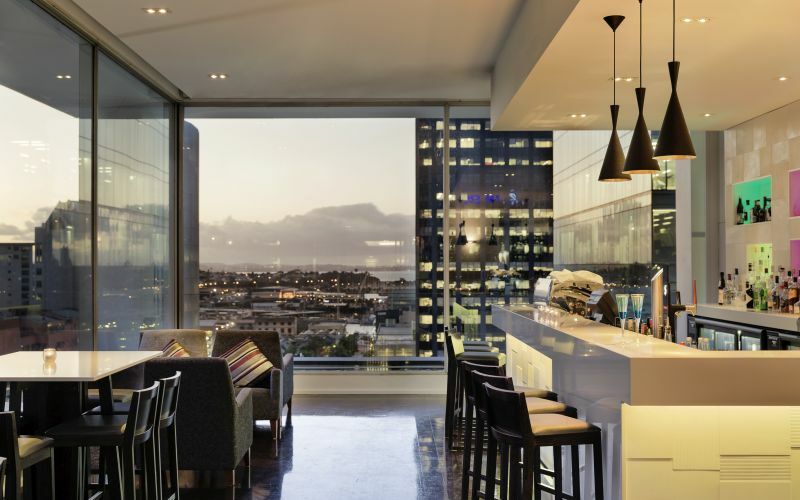 Located in the heart of the Auckland waterfront district, overlooking the thriving Viaduct Harbour and surrounded by designer boutiques and award winning restaurants, Grand Mercure Auckland embraces all of these elements to tell the story of our uniquely diverse city. Our stories can be experienced from in room amenities through to iconic pacific art and dining menus. With 207 guest rooms, a dedicated conference and event floor and lifestyle spaces, Grand Mercure welcomes every traveller to explore the intimate ethnic mosaic of Auckland. Elegant regurbished guest rooms and suites designed with harmonious textures in botanic shades feature Smart TV's with Bluetooth connectivity, Amiki Manuka hone amenities and complimentary wifi. AccorHotels New Zealand announce that Mercure Auckland will rebrand to the Grand Mercure Auckland from June 1, following an extensive NZ$22 million refurbishment, the second Grand Mercure announced this month for the region.